St Mary the Virgin Church. 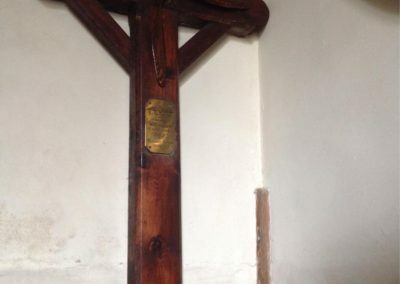 There are actually two crosses, located next to each other on the wall, through the church, turn right and located beside the 2nd altar. 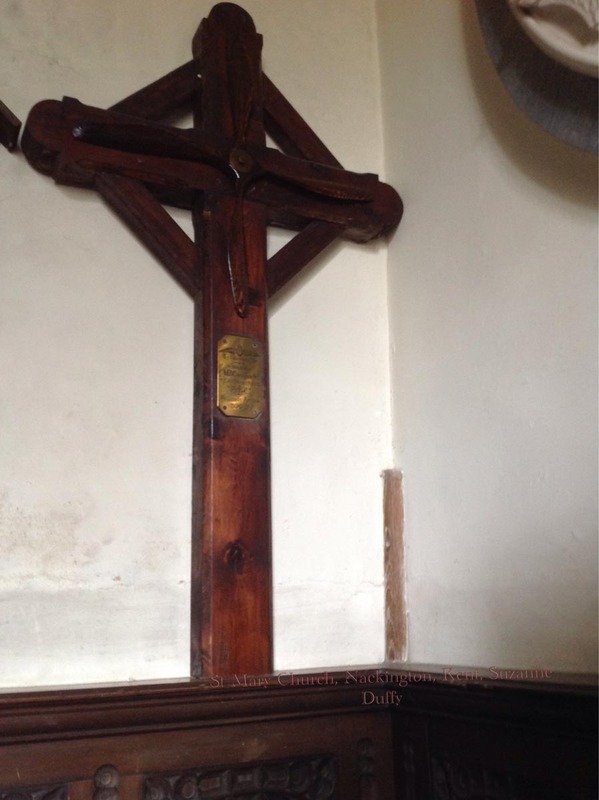 Unfortunately the crosses were located too high on the wall for me to reach for other measurements. 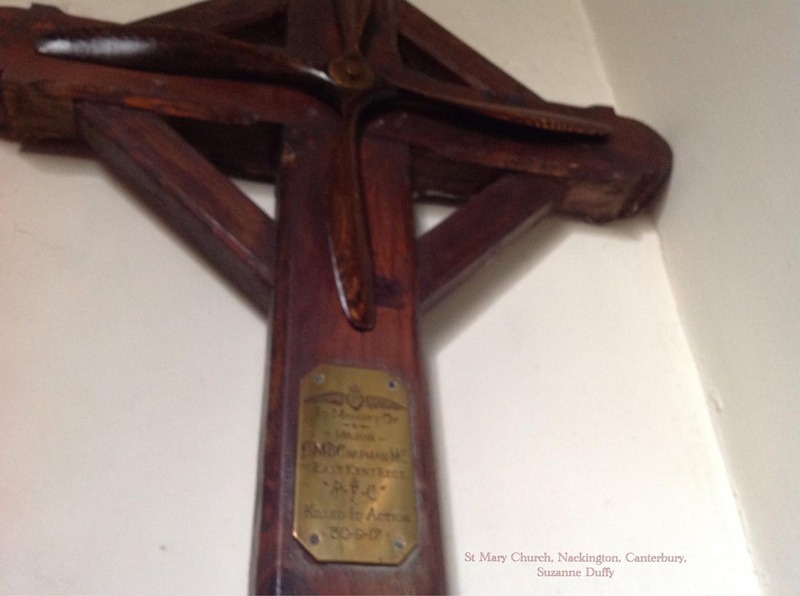 Right hand cross (propellor cross): Propellor carved in the centre upper section of the cross. 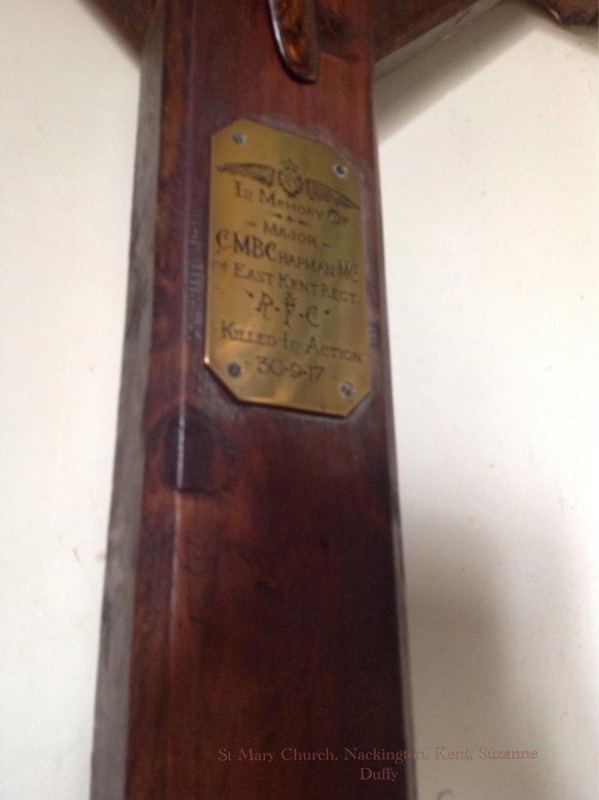 Gold plaque with lettering engraved and the crest of the RFC. 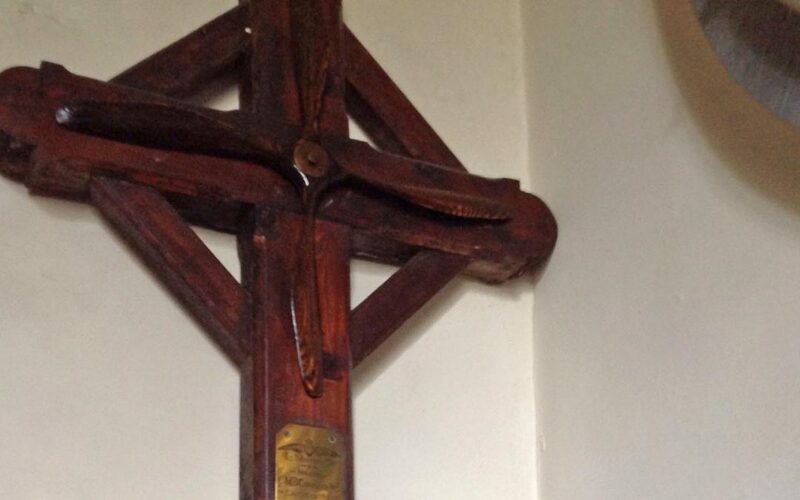 Finish: Right hand (propellor cross) has been varnished. Left hand cross has not. Both in extremely good condition. 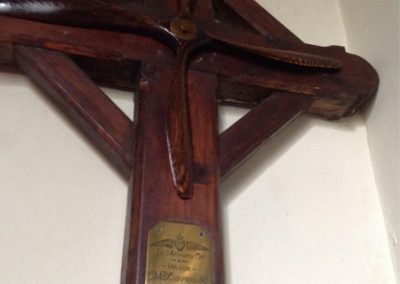 The propellor cross does not look as if it has actually been outside at all. 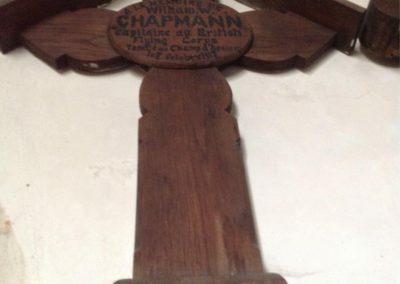 I was a little confused by the fact both crosses were for the same names, although the French cross had Chapmann as opposed to Chapman. Both men were RFC and killed within a few days of each other. On leaving the church, I discovered the war memorial located at the end of Church Lane, on the opposite side of the road on the junction of the busy Nackington Road. 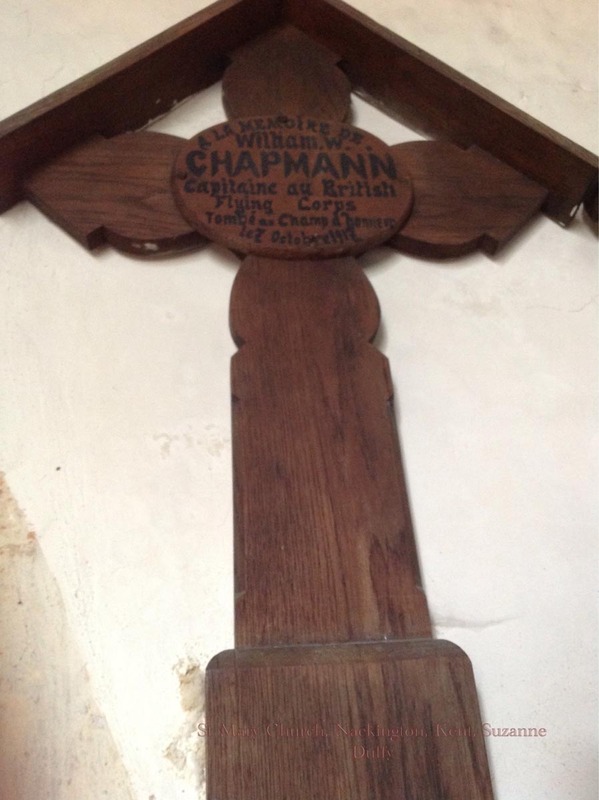 Both names were listed, and both spelt Chapman only one ‘n’. Both men were the Buffs Regt and RFC. 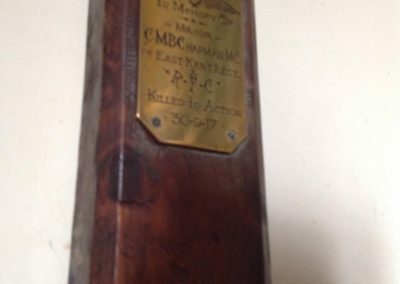 Please see the link below to the details of the Nackington war memorial. Click on their names on the above site, and a history for each appears. 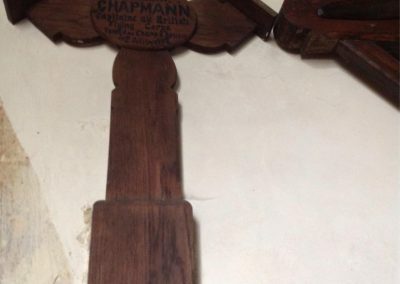 It seems they were brothers, and it mentions the wrongly spelt ‘Chapmann’. 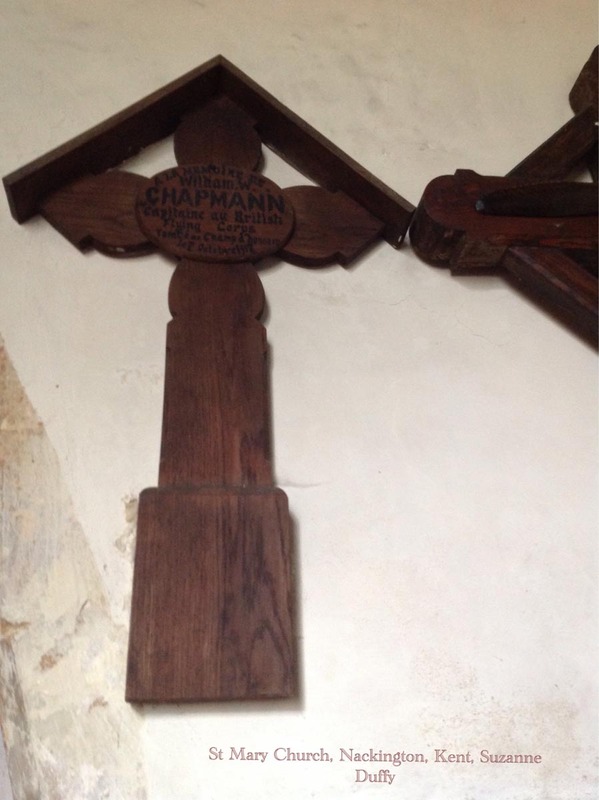 There also seem to be some errors with the dates of death on each cross. 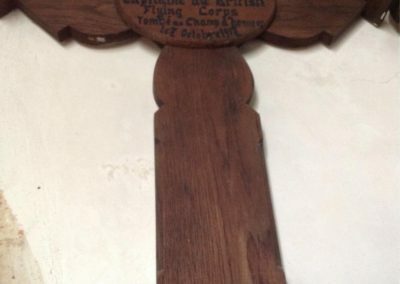 According to the details on this site, there was a plaque in memory of each located in the Church. However, i did not see this. It was a very sunny day and the memorials were located high on the church walls, and not easy to see. 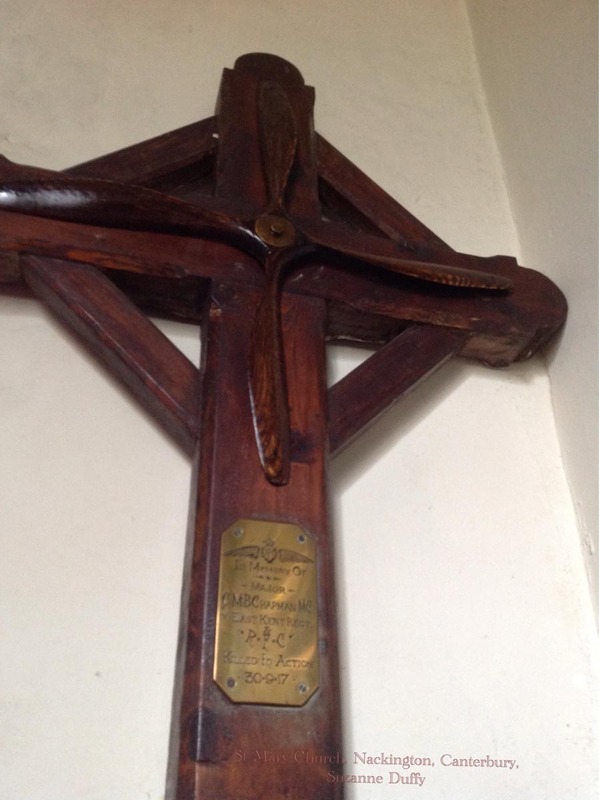 The site also mentions the propellor cross, and the confusion with dates. 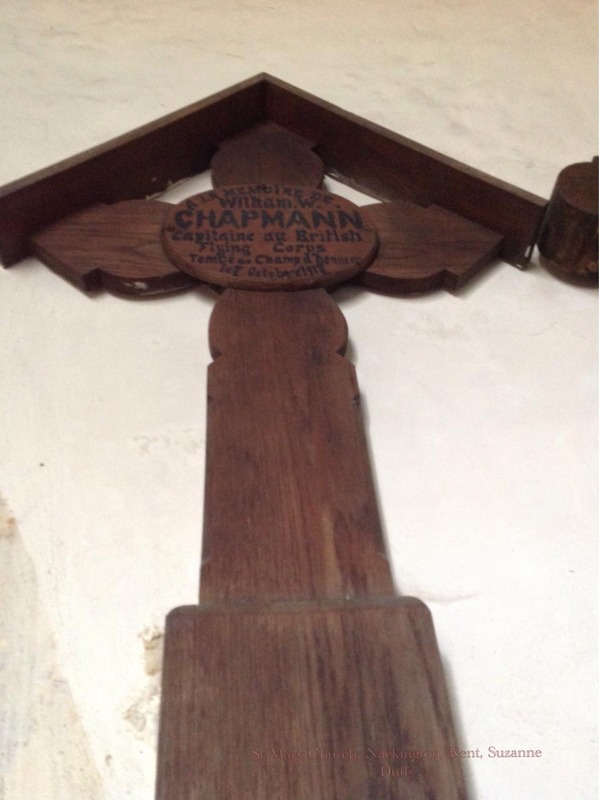 There is a picture of Lt Chapman on this site. 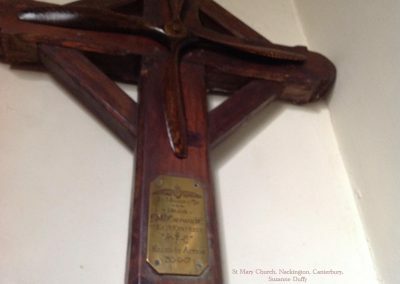 NB: the propeller is a facsimile, this isn’t a true propeller marker, additionally it’s not clear at present if these are returned markers or if they were created and used as memorials locally. The roof piece indicates one may have been outside. Survey and photographs courtesy of Suzanne Duffy.